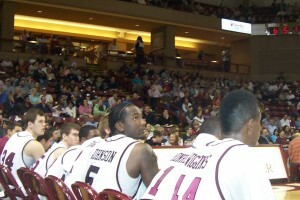 Peak Performance » Blog Archive » College of Charleston Men’s Basketball Ends Regular Season With Big Win! 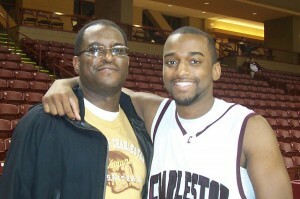 College of Charleston Men’s Basketball Ends Regular Season With Big Win! The Clock is winding down. "Can this really be my last home game?" 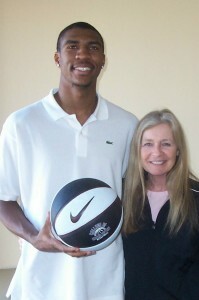 We had an awesome weekend with the College of Charleston Men’s Basketball Team. It was Senior night at the game on Saturday. Jermaine Johnson, Marcus Hammond and Dustin Scott gave inspiring performances in their last game at Carolina Arena in Charleston, SC. Tears were shed in abundance as the clock ran down on a victory for the graduating seniors. 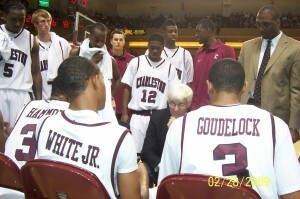 The team with Head Coach Bobby Cremins finished the regular season with a 23-7 record. Here are some photos from the night! Can you see the joy in their eyes? And maybe some sadness, too? We’ll miss you guys! A Proud Dad! 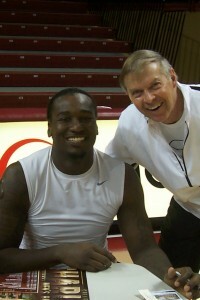 Marcus Hammond and his Dad after the game! Jermaine Johnson and Dr. Bryce Young enjoying the post game fun! 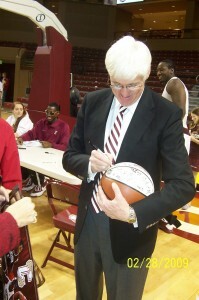 Coach Cremins signing basketballs after the game! 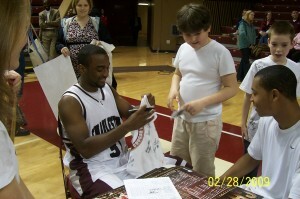 Marcus Hammond signing autographes for the future Cougar Hopefuls! 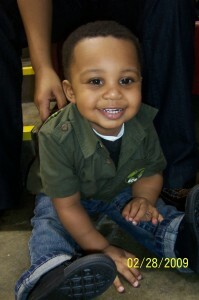 Future Cougar Star-Jermaine Johnson, Jr.
We thought you’d enjoy reading some of the comments we have received. Feel free to post your comment. We’d love to hear from you! Thank you Jessa, Andy and April for your kind and generous words! Nearly 20 years of knowing Linda and Bryce. You two amaze me with your courage to continue to grow, embrace life and change. Your commitment to assisting others, athletes and non-athletes reach to challenge themselves and vibrate, body and soul in peak performance. Inspiring. I’m proud to know you. You two ROCK!!! !